Victoria has been naturally psychic since early childhood. 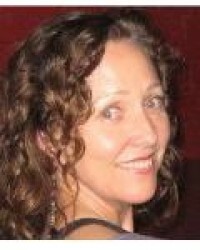 Her readings are caring and healing with accurate insight into your situation. Her ability when tuning into your energy is like a roadmap that identifies the blockages, barriers and brings clarity when feelings of vulnerability, fear and disempowerment are often present. Psychic Victoria can call upon spirit and spirit guides to help during a reading. Psychic Victoria has a special gift for complicated situations. She is able to work with any situation in all areas of your life. Her readings bring clear insight and gives traight solutions. No matter how difficult the situation is Psychic Victoria can give positive guidance so that you can you to move forward in a positive and self - empowered way. Victoria is also a medium and can connect with loved ones on the other side in a supportive, safe and caring environment. Victorias many gifts include – Clairvoyant, Clairsentient, Claircognitive, Clairaudient, Empath, Energy Reader and Healer, Transpersonal Life Coach and Theta Healing Practitioner.